Every New Year’s Day, I take time to start a new project or clean out the studio. 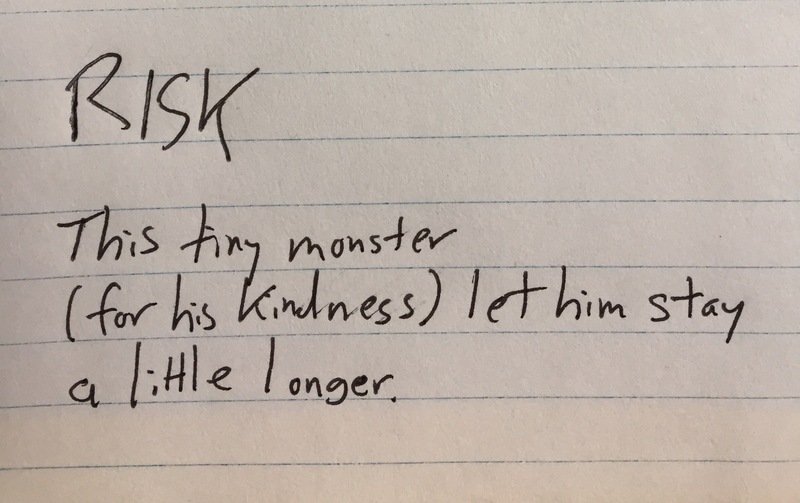 This year, I found an old haiku from college I wrote when I was frustrated in a class. I think it still holds true. Take risks, and make them your friends.